[Special Promotion] The allamanda flower is not only glorified in floral arrangements, but is also used for its health benefits. Just like the flower, the exclusive Allamanda Spa and Hotel in Aoyama is both beautiful and bountiful with health benefits. 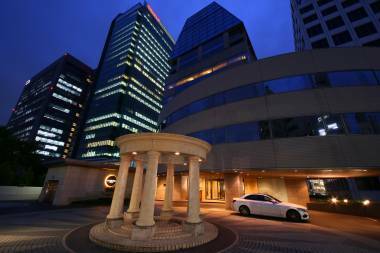 Right next to Gaienmae station, this is a conveniently located portal to escape. Up on the 11th floor, a 25 metre pool sprawls under a slanted roof with skylights. Beams of sunlight pierce through the water as you swim laps. On rainy days, it’ll just feel all the more cozy swimming in the 30.5 degree pool. Take private lessons, group training or just swim laps at your own leisure. When you need a rest, head to the loungers in the sun-drenched corner next to the bubbling jacuzzi that overlooks the Tokyo streets below. 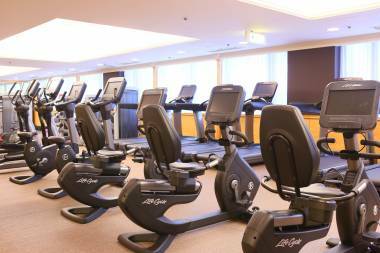 The gym is equipped with state-of-the-art machines to help you get as fit, strong and toned you you’re aiming for. 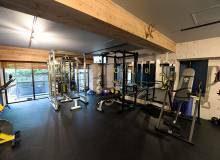 Attentive staff will help you use the equipment, and can also set you programs with their personal training sessions. A sleek floor-board studio is used for group lessons, free for members. Dabble in ballet, gymnastics and aerobics exercises. Challenging yourself with something new is proven to stimulate creativity, improve your physical state and emotional strength. 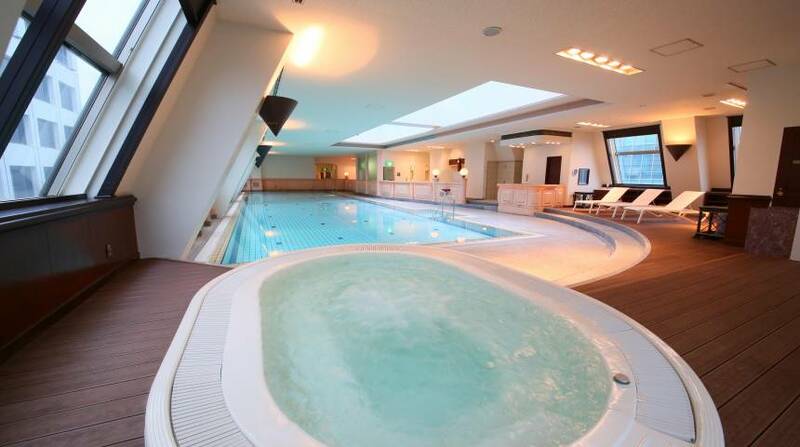 As a club member, you can use the pool, gym, and bathhouses facilities for just ¥1,000 a visit. Visitors without a membership will pay ¥4,000. After the initial registration fee, membership is paid monthly. There are a number of perks, including a 30% discount off the hotel rooms and 50% if you feel spontaneous and book on the night of stay. The rooms range from royal suites with huge living areas and tasteful artworks to stylish modern rooms, if that’s more to your taste. Other luxury services available at the Allamanda Spa include massage, acupuncture and facial treatments. Prices depend on the type of treatment and the time of the session, ranging from 30 minutes to 2 hours. Indulge while you give yourself to someone else’s capable hands. Whether you choose to be pampered or have an intense gym session, you’ll love unwinding in the bathhouse. Both the male and female wings have a bathhouse attached to their relaxation and powder rooms. The superior facilities include marble finishes and plenty of ornate hooks. The washing area is spacious and stocked with soaps and shampoos. There are two spas (one cold and one hot) as well as a large dry wood sauna and a steam sauna. Saunas help relieve tired muscles and flush toxins from your body. When your stomach rumbles, head to the 8th floor. 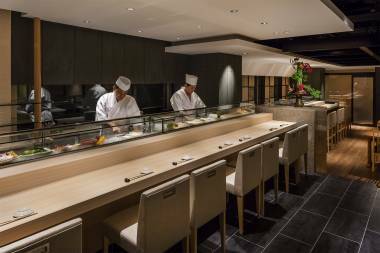 Newly opened 海舟 (Kaishu) is a chic and classy izakaya serving Japanese cuisine at reasonable prices. Sit at the sushi bar and watch as the chef prepares and serves you individual nigiri right before your eyes. This is one for the seafood lovers, with premium otoro tuna belly on offer, as well as tokishirazu salmon, sea urchin and eel. Next door, Portofino offers all day menu options, where you could dine on eggs benedict for breakfast, ratatouille with fresh salad for lunch, and a juicy angus beef steak for dinner. There are plenty of healthy options and fresh drinks including an excellent carrot juice, all overlooking a view of the Chichibunomiya Rugby Pitch. On game day, it’s the best seat there is. You’ll descend to street level feeling rejuvenated and ready to face whatever is next on your agenda. 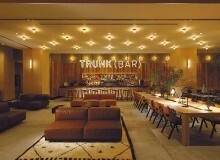 Even if you just intend to make it a day visit, you’ll be tempted to come back for more.